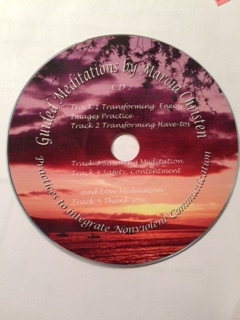 I have a 2 CD set I've created with guided meditations that are meaningful for me. 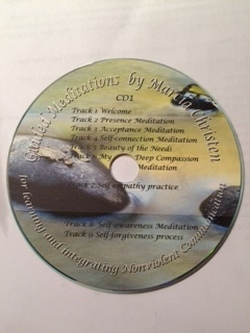 I've created it to help support people's learning and integrating of NVC and as a way for people to have practices available to find some groundedness and peace. I've enjoyed these products for learning and integrating NVC and sharing NVC. For many recorded teleclasses, access to all kinds of NVC trainers and subjects! All levels available. To learn more about Nonviolent Communication contact the Center for Nonviolent Communication at www.cnvc.org. Bay NVC at www.baynvc.org has a list of telecourses, practice groups over the phone, and in person courses. Universal Needs – Besides essential requirements for physical survival, such as air, food, sleep, etc. all human beings, across all cultures, share some basic needs in order to thrive.